1. Flush it out. When you wake up with unusually puffy eyes, the consumption of too much sodium and too little water is often the culprit. Make a point of drinking plenty of extra water to rehydrate and flush out the toxins that are puffing you up; it’ll improve your current appearance and help prevent waking up with the same problem tomorrow. 3. Fake it. If you don’t have time to take a stroll or your dark circles make you look like you’ve been punched in the face, it’s time to call in some reinforcements. Enter Benefit Fakeup. The combination of silky moisturizer and long-last concealer make Fakeup your eyes’ best friend. 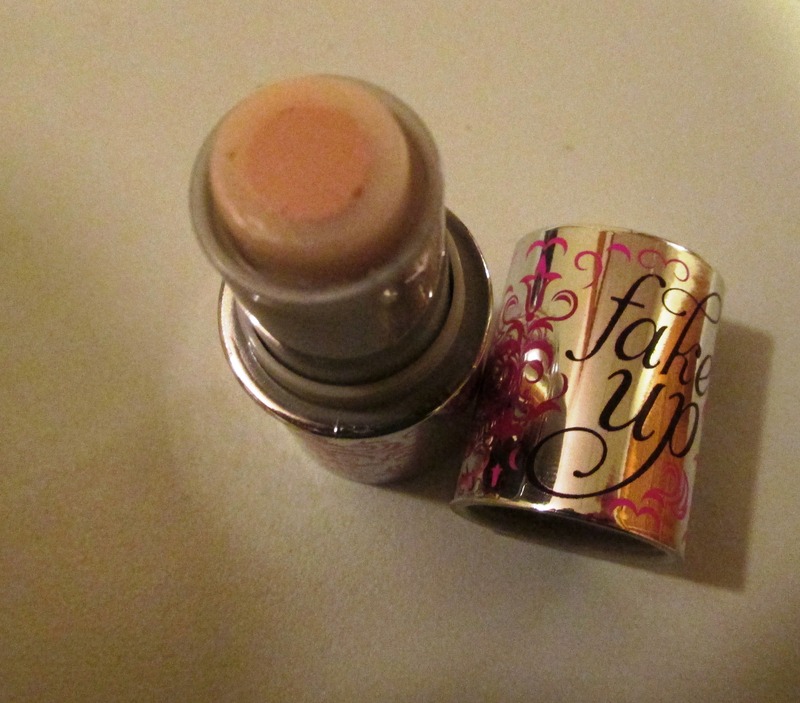 This undereye miracle worker features a core of concealer enveloped in a silky moisturizer. The result is a smooth application, long-lasting coverage and an undereye concealer that will not crease. It will be your best friend on mornings when you wake up feeling less than bright-eyed and bushy-tailed. It’s no secret that I’m a lover of all things beauty-related, but what many of you may not know is that I’m very interested in health and fitness as well. So when I found out that I would be receiving Influenster’s Go VoxBox, filled with beauty, health and fitness products, I was beyond excited. Over the past few weeks I’ve been testing and trying each item; I’ve even discovered some new can’t-live-without-it products. Without further ado, here’s a look at the #GoVoxBox. Muller Greek Corner Yogurt (#MullerQuaker): I had seen commercials for these delicious-looking yogurts and wondered if they were as good as they looked. However, I’m not a fan of Greek yogurt, so I never actually tried one until I received a coupon for a free one from Influenster. I was absolutely blown away. These yogurts are smooth and creamy and the fruit is so delicious. I often find Greek yogurt to be too sour and thick, but that was not the case with these. I have been buying Muller yogurts every week since trying that first one, and I’ve liked every flavor that I’ve tried. A definite winner! Blue Diamond Blueberry Flavored Almonds (#GetYourGoodGoing): I love almonds, and Blue Diamond is a trusted brand, but I was not a fan of the blueberry flavor. It tasted quite artificial; I prefer my almonds straight up! The Vitamin Shoppe Next Step Fit N Full Protein Shakes & Jaxx Shaker (#NextStep): I’ve never been much a protein shake kind of girl, so I wasn’t expecting to love these shakes. And while I wouldn’t say that I loved any of them, I did like the chocolate and berry flavors (vanilla was not for me! ), and noticed that I was bursting with energy for hours after drinking them. The Jaxx Shaker worked well and didn’t leak, so if you are a protein shake person, I’d recommend it for a way to mix your shakes quickly and take them with you when you go! Playtex Sport Fresh Balance (#PlayOn): I’ve tried Playtex tampons before, and I’ve always thought they were top-notch, but these were by far the most comfortable tampons I’ve ever used! These are my new go-to. 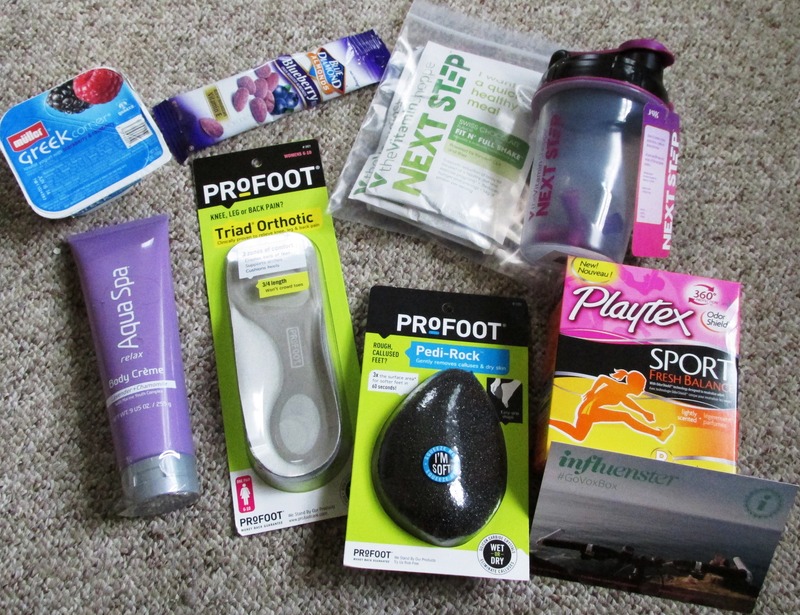 PROFOOT Pedi-Rock (#GoPROFOOT): This has quickly become part of my regular beauty routine. This soft foot file can be used wet or dry (I prefer wet) to quickly remove rough patches and calluses. I was so impressed with how quick and effective it was that I’ve replaced my old foot scrub with it! PROFOOT Triad Orthotic (#GoPROFOOT): According to the information that accompanied these shoe inserts, the Triad Orthotic is clinically proven to relieve knee, leg and back pain. Since I’m training to run a 5K, I was excited to try these. I instantly noticed that my knees felt better, specifically when running down steep hills. I also felt that I had more bounce in my stride, and that running uphill felt significantly easier. I’m not sure that these did anything to make my back feel any better, but I think they definitely improved my overall performance. Aqua Spa Relax Body Crème (#RelaxWithAquaSpa): Another favorite from the box, this hydrating but non-greasy body lotion has a heavenly lavender and chamomile scent and leaves skin silky smooth; I’ve taken to slathering it on my feet and legs after I use my Pedi-Rock! This also makes an excellent pre-bedtime lotion – the soothing scent will lull you to sleep and you’ll wake up feeling soft and refreshed! I know it seems a bit odd to write a resolutions post in February, but I honestly wanted to see if I could actually do it before I made a pledge to all of you. This year I have decided to try a shopping ban. 1. I cannot purchase any beauty or personal hygiene product, unless I have completely run out of that product. For example, I can’t buy a new bottle of shampoo until I have used up all other bottles, trial sizes and samples of shampoo currently in my home. 3. Gifts or free items are allowed. 4. This ban is in place until December 31, 2014, or until I use up my entire beauty stash, whichever comes first. I decided on a shopping ban after frantically searching my bathroom one morning for my favorite lipstick. 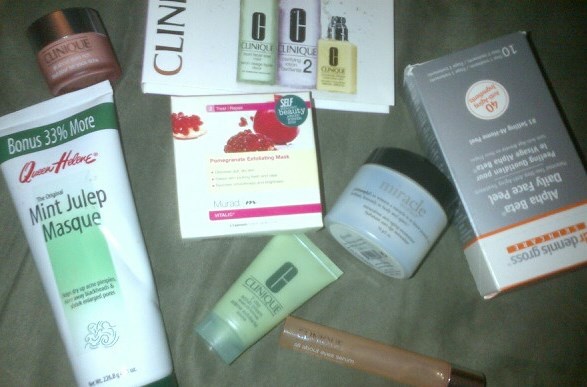 I sorted through boxes, bags and baskets full of products and samples and could not find it. I did, however, discover several new products I didn’t even know I had! I realized I had backlogged Birchboxes and Ipsy bags that I’d never even opened. I was on beauty product overload. Bath & Body Works Aruba Coconut Body Wash: A trusted standby, I find B&BW body washes to lather well without being overly perfumed, unlike some of their lotions. I’m a sucker for anything coconut scented, too. Malin & Goetz Gentle Neroli Shampoo: I used up a couple sample packets of this delightful shampoo, and instantly added it to my post-ban must-buy list. It has a slightly spicy scent, and did a fantastic job of cleansing my hair. Plus, it left my scalp clean and moisturized, and my hair extra shiny. Whish Deodorant Swipe: Deodorant wipes seem to be all the rage these days, but so far, I’m unimpressed. This one failed to keep my clean and dry after about four hours. CoverGirl CG Smoothers BB Cream: This is my go-to daytime moisturizer in the winter. 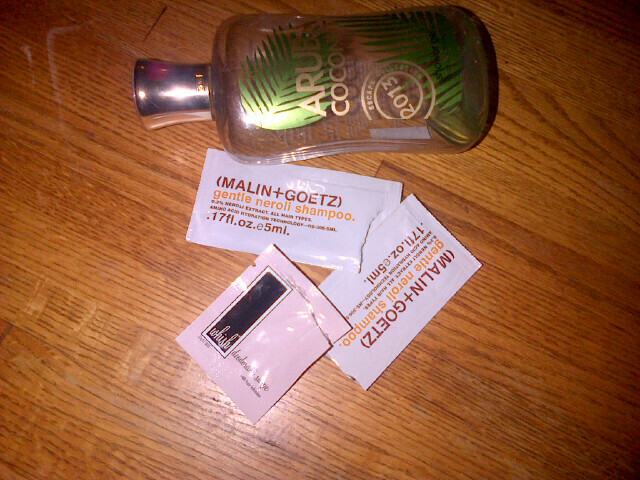 It’s light enough for my fair skin and keeps my complexion nice and even. 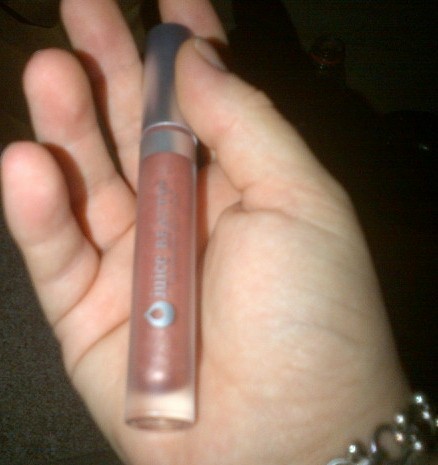 Thankfully my sister gave me another tube of it to replace the one I used up! 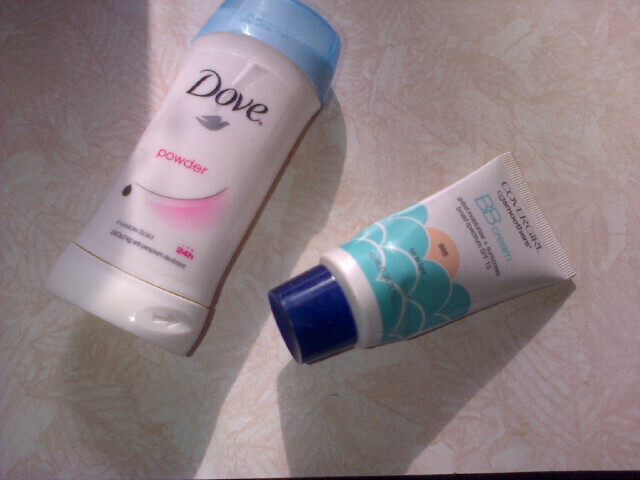 Dove Deodorant in Powder: A pretty basic deodorant, it had a very mild scent and did a decent job, most of the time. I wasn’t in love with it, and don’t think I’ll buy it again. L’Occitane Hand Cream: I had a mini tube of this on my desk and used it up in a little over a week. Super moisturizing with a light, clean scent, this one is a classic for a reason. I was lucky enough to have a long holiday weekend to celebrate Independence Day, and I could not have asked for more perfect weather. Filled with sun-filled days at the lake, evenings out with family and friends, and plenty of lazing/reading/napping, my mini-vacation marked my unofficial kickoff to the summer season. I like to keep my summertime beauty routine fairly light and fresh – there’s nothing worse than a face full of makeup melting down your chin – but that doesn’t mean I don’t want to look polished. Here are three key products that took me from the beach to the bar – and probably will all season. Neutrogena Ultimate Sport Sunblock Lotion SPF 30: My fiance and I tested three different sunscreens over the weekend, and this was the winner, no contest. It’s sweat-proof, waterproof and pleasantly moisturizing, without being greasy. While the other sport block we tested faded after just a couple of hours, resulting in slightly singed shoulders, this one stayed put through two dips in the lake and lasted all day. This is my number one summer must-have product this year – no sunburns allowed! Fresh Sugar Coral Tinted Lip Treatment: Unless you live under a rock you probably know or have heard about how amazing Fresh Sugar lip balms are. 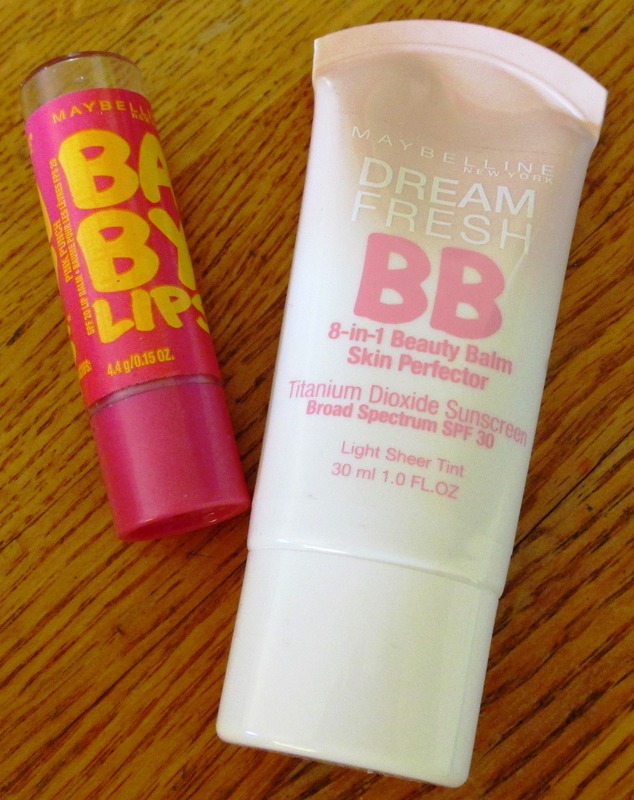 Silky smooth and oh-so-good for your lips, these balms have a cult following for a reason. I’ve long been a fan of the original and rose versions of the Sugar balms, but this summer I’m reaching for Coral – it’s a wonderfully smooth, highly pigmented red-orange lip tint, and it looks great with my now slightly less corpse-like summer complexion. For dinner with friends on a sweltering Friday night I swept my hair back in a messy ponytail, smoothed my skin with the above-mentioned BB cream, swiped on the tiniest bit of waterproof liner (upper outer lashes only) and mascara, and finished the look with this cheery pop of color. The result? I felt totally glamorous with almost no makeup on, and even in the humid heat it didn’t budge. 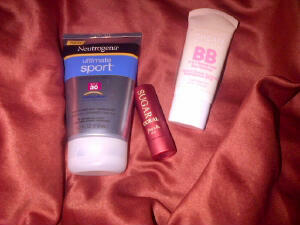 And did I mention that the Sugar balm comes with SPF 15? Those are my beauty must-haves this season – what are yours? First and foremost, please allow me to apologize for the tardiness of this post. Due to unforeseen technical difficulties I was unable to complete it last weekend, and before I knew it the workweek had come and gone. I know a poor complexion is no laughing matter, and we all want to look our best when we face (pun intended) each day. In my opinion, having great skin – and by that I mean truly great, not just great-looking when made up – is a huge confidence booster and one of the biggest ways you can transform your appearance for the better (right up there with tweezing your eyebrows and getting a flattering haircut). So, in the spirit of not giving up on our resolutions this year, let’s get started. Have a Plan: A skincare plan, that is. Basically, the number one most important thing you must do in order to have nice, clear, glowing skin is stick to a regular skincare routine (I’ve written about this before, and if you want a more in-depth look at my plan you may want to refer to Fresh Faced). Those with oily skin do well with a twice-daily cleanse-tone-moisturize routine, such as the Clinique 3-Step program. In fact, step three, the Dramatically Different Moisturizing Lotion, is one of the all-around best moisturizers available for any skin type. If you have skin that’s on the dry side, like I do, you may find toner to be too drying for your skin – I usually skip it during the winter. I also only use a cleanser at nighttime – I simply splash my face with warm water in the morning – I find that over-cleansing my skin makes it look worse. If your current once-or-twice daily washing routine doesn’t seem to be working for you, try adding or subtracting a daily cleansing and see if your skin balances out. If you don’t currently have a regular routine, start one! And let’s face it, even with the best of intentions there will be a night or two when you just cannot bring yourself to walk into the bathroom and properly wash your face. Do your skin a favor and buy yourself some cleansing cloths to stash beside your bed. There are many good ones available now that are packed with good-skin extras and leave your skin soft instead of stripped. I love the pomegranate wipes by Korres and the drugstore line Simple. Be a Quitter: This should go without saying but I know it often doesn’t. If you are looking for an easy way to drastically improve the health and appearance of your skin, and are currently a smoker, quit smoking. Even though we all know it’s bad for us, vanity can be the biggest motivator when it comes to stopping smoking. And it’s easy to convince yourself that smoking doesn’t make that much of a difference in something like your skin, but it really, really does. I have seen first hand how much better a person’s complexion looks after successfully quitting cigarettes. Did you know that smoking is one of the biggest contributing factors in whether or not you have dark circles under your eyes? Speaking of eyes, would you like the fine lines around yours to diminish? Or perhaps you’d like to look five to ten years younger in general. I promise you, quitting smoking will make your skin look so much better you will hate yourself for not quitting sooner. Clari-fy: It’s time to bring out the big guns. Even if you’re already doing all the things listed above, there’s still room for improvement. You can clean your face cleaner. Your treatments can treat better. How? By investing in a Clarisonic. These oscillating skin cleansing brushes are expensive, yes, but they really do live up to the hype. I’m not sure how it’s possible, but my skin feels softer every single time I use it. The brush uses sonic technology to gently clean skin and remove impurities that are trapped in pores. Not only does this lead to cleaner skin, which means fewer breakouts and blemishes, but it also allows any products that are applied after cleansing to be better absorbed by the skin, making our moisturizers and treatments more effective. 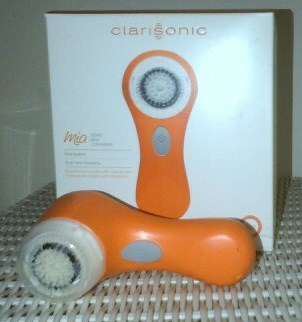 The Clarisonic comes in a variety of colors and sizes; I personally own a Mia, which is a slightly less expensive travel-sized version. Again, these babies aren’t cheap, but they come with a warranty and are worth every penny. Get Some Sleep: This tip is two-fold. First of all, like smoking, chronic lack of sleep is terrible for your health and wreaks havoc on your skin. It’s another leading cause of dark circles (obviously) and it also leads to that overall dull and lifeless look that none of us is going for. It really is amazing what a few consecutive eight-hour nights of sleep can do for a person. Especially when you practice part two of this tip: take advantage of this downtime to really ramp up your routine. Nighttime is the right time to slather on those thick creams and heavy treatments that go the extra mile. With a full eight hours to soak in, overnight treatments can do your skin a lot of good. 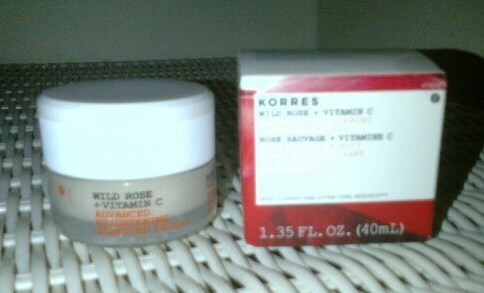 My latest skincare obsession is Korres Wild Rose + Vitamin C Advanced Brightening Sleeping Facial. This jar of magic contains a super thick cream with a delightfully sweet and rosy scent. I smooth it all over my face and neck, and wake up with skin that is insanely soft and glowing. The kind of glow that renders makeup optional, if not downright unnecessary. Not only that, this stuff leaves you looking well-rested and refreshed, even on days when you are feeling anything but rested. Pairing the sleeping facial with the Clarisonic is such a skincare double whammy that I kind of feel like I’m cheating at life when I do it. I highly recommend it. Recommended Products: This is in no way an exhaustive list, but I figured I’d share a few of the things that have worked well for me. I’m always testing new things so if you have a question about a specific product or are looking for a certain treatment, feel free to leave a comment here or on the Questions? page. Anti-Aging – In addition to clearing and brightening skin, minimizing pores, and decreasing excess oil, Dr Dennis Gross Skincare Alpha Beta Daily Face Peel smooths fine lines and wrinkles and instantly firms skin. I like to follow it up with Philosophy Miracle Worker, a firming, plumping and softening moisturizer that protects the skin against all signs of aging. Exfoliators – Clinique 7 Day Scrub Cream is a great gentle scrub, even on sensitive skin. Murad Pomegranate Exfoliating Mask uses fruit enzymes to dissolve dull and dry skin and leaves you looking bright. Eyes – I really like Clinique’s All About Eyes line. I use the de-puffing eye-massage roll-on to cool and brighten on rough mornings, and the rich eye cream at night to help prevent dark circles and crinkles around the eye area. Pimples and Pores – No surprises here: Queen Helene Mint Julep Masque is still my top recommendation for shrinking pores and eliminating pimples and blackheads.